PS: I remember, one friend told me told me that hotmail is providing free SMS alert for emails in India. But I never got a try on it as I don’t play with a hotmail account. 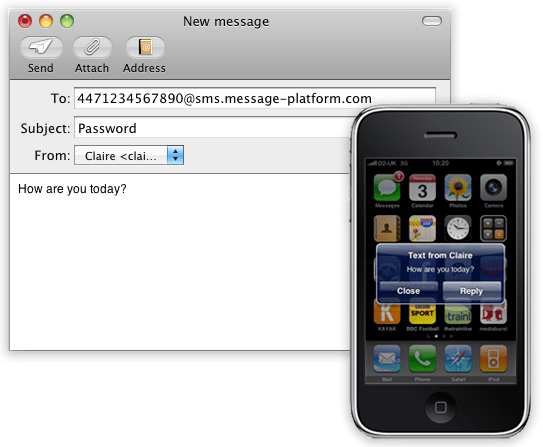 Warning: This is potentially insecure method for getting SMS alert via email. A simple mistake can cause your emails to go public. A twitter account with no followers and tweets protected. Make sure to use some weird name like twitter.com/jhsernss223d . So that no one would care about this account. Don’t fill in bio or URL so that the account looks pretty waste. Protect your tweets. So that no one can see what this account is tweeting. Don’t follow anyone, and never let anyone follow you. Now, go to tweetbymail.com and create an account. It takes less than 30 seconds to set up an account. Now set email forward in your email inbox to this unique email address: Any email coming to your inbox will be tweeted by the twitter account you just created. Set up mobile options in twitter account so that you will get SMS alert when ever a device update enabled user makes a tweet. Awesome issues here. I am very glad to see your post. Thanks so much and I am looking ahead to contact you. Will you kindly drop me a e-mail? Website tweetbymail.com is not working.. This does not work for mauritius since my country is not in the list for mobile setup for twitter, is there any alternative?